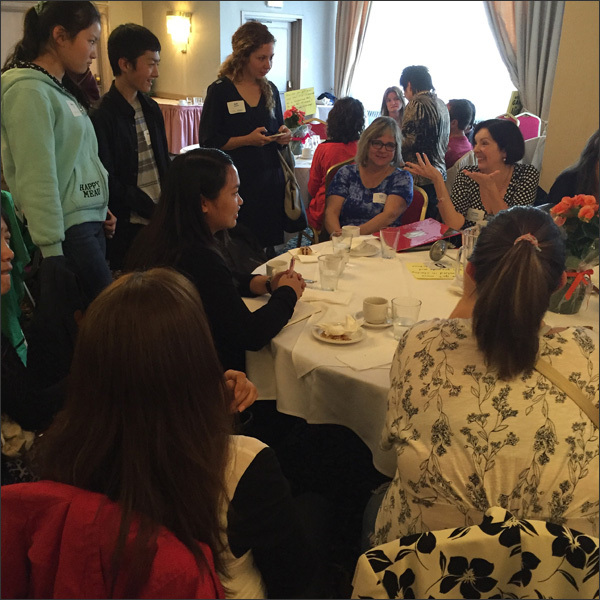 Last week Vancouver Foundation's Neighbourhood Small Grants peeps hosted a one-day event to bring together coordinators, Resident Advisory Committee members and project leaders from all over BC. The Summit included opportunities to connect and share information, a workshop plus presentations from project leaders and a panel discussion. 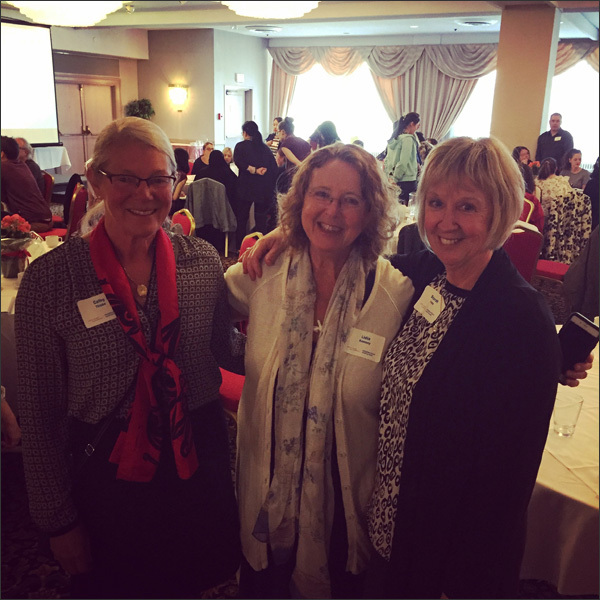 I was one of four project leaders invited to talk about my project - what I did, what worked, areas of improvement, etc. Here I am with my fellow presenters. 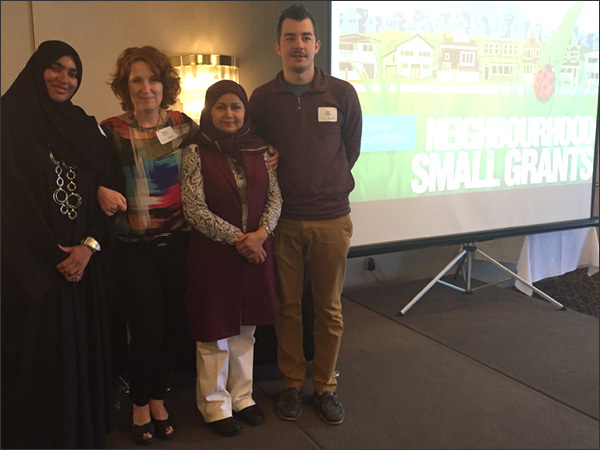 We each gave a presentation about our experiences with the Neighbourhood Small Grants program then there was a panel discussion where Summit participants could ask questions. 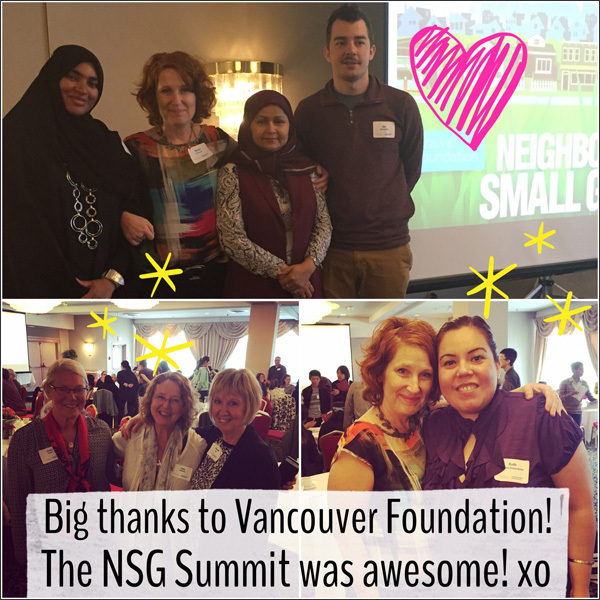 Yup I am one big fan/groupie of Vancouver Foundation and their Neighbourhood Small Grants program. This lucky lady won the draw! 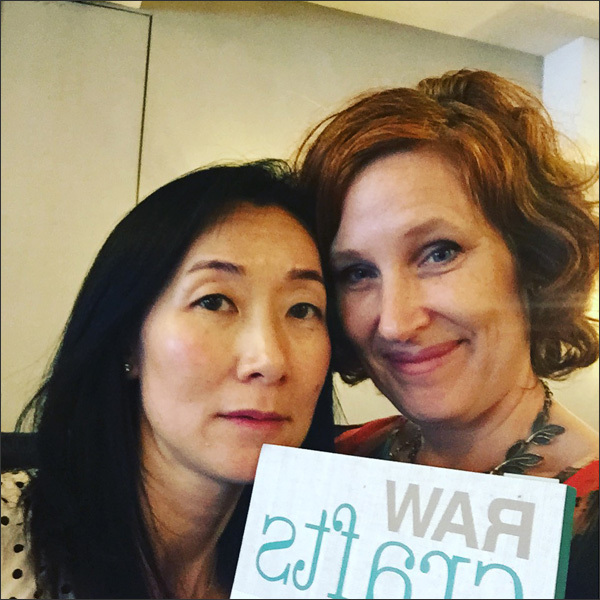 I gave away one of my crafty books since the Neighbourhood Small Grants program has played such an integral part in my crafty/upcycling success. So much discussion, connection and inspiration was happening during the Summit. We shared our challenges, our successes and came together to make community engagement awesomeness happen. What a day! I met new peeps plus saw old friends. I met Ruth last year... 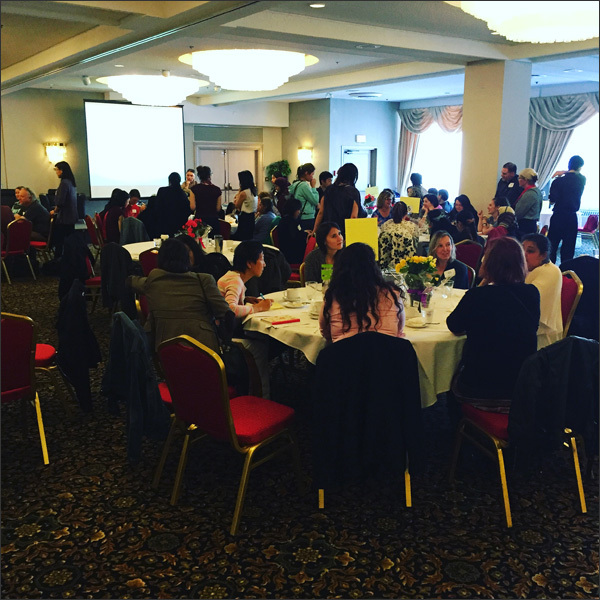 So many amazing participants at the NSG Summit. 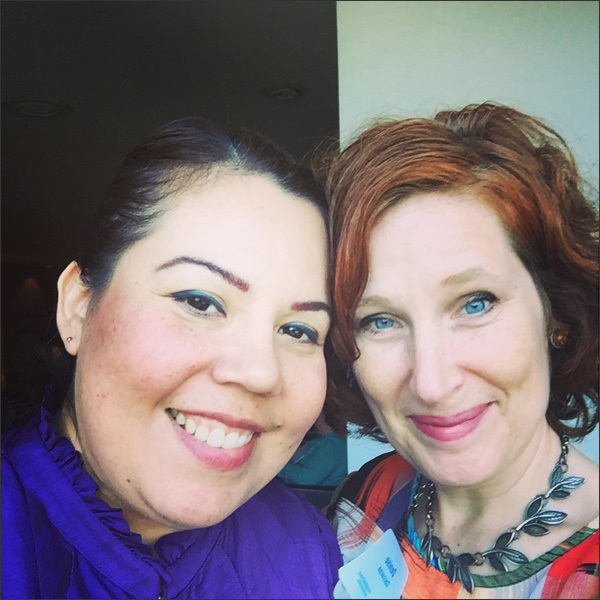 I honestly can't say enough about Vancouver Foundation and the people I've met through their Neighbourhood Small Grants program... The whole team behind NSG - they really are rockstars. My love affair continues! What an awesome and super inspiring day! Here's to making magic happen through community engagement! 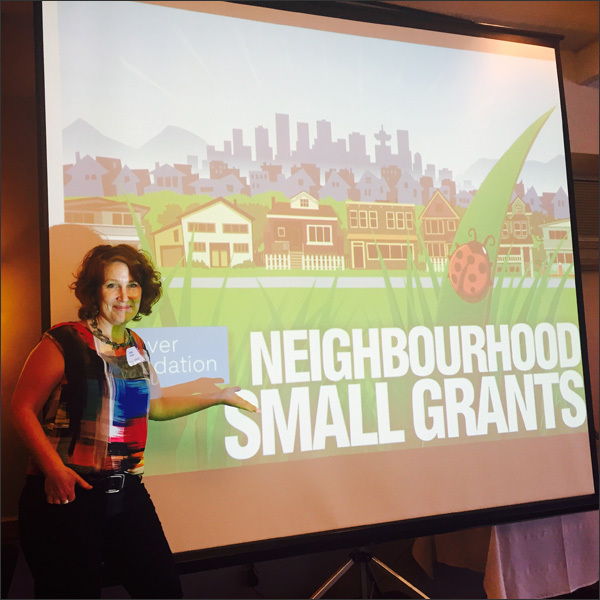 You rock Neighbourhood Small Grants and Vancouver Foundation!